Misho is all white with green eyes about 10 years old. He has chirp for a for a meow. He is very shy around people. Doesn't like to be held. 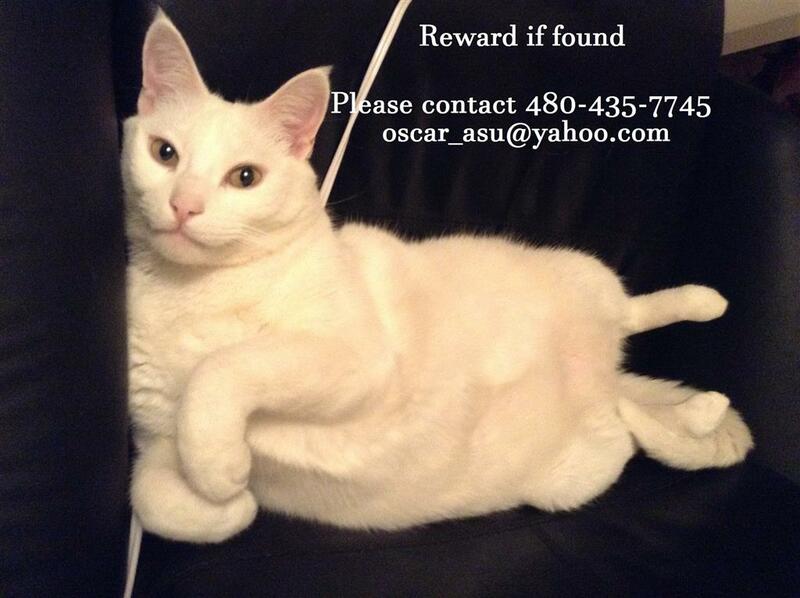 Was lost on October 5 at 8pm in the Mountainside community in Ahwatukee south-east of 40th St and Chandler Blvd. Did not have his collar on he is an inside cat.